From New South Wales’ stunning Central Coast to the remote Kimberley of north Western Australia, Pearls of Australia represents a vast range of products and experiences centred around the Australian South Sea Pearl of Cygnet Bay, north of Broome, and the Australian Akoya Pearl of Broken Bay, north of Sydney. Board our 10m catamaran at Woy Woy where our experienced skipper will immerse you in the story of our locally grown pearls. Explore the incredible marine wilderness of the Central Coast where iconic pelicans and abundant fish are a living display of our thriving marine ecosystem – home to our world-class pearls. Meet our pearling team who reveal the intricacies of pearl farming. Watch for turtles and stingrays around the famous Rock Oyster farms, the area’s original industry and secret behind Broken Bay Pearls’ success which began in 2003. Once back on land, our experts invite you to join them in a hands-on session with our pearl harvest where you will witness how pearls are graded and learn the 7 virtues that underpin the value of our farm-direct Pearls of Australia. Tours depart Sea Scout’s Hall, Lion’s Park, Woy Woy, Thursdays & Saturdays, 10am or 1pm. Use promo code “Summer50%” when booking online to receive our opening special of half price tours in February2019. 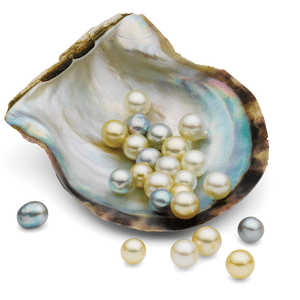 World class pearls, rich in lustre and colour, and sustainably forged in pristine marine environments with no post-farm treatment, Pearls of Australia are among the purest and most valuable pearls in the world due to their seven virtues. 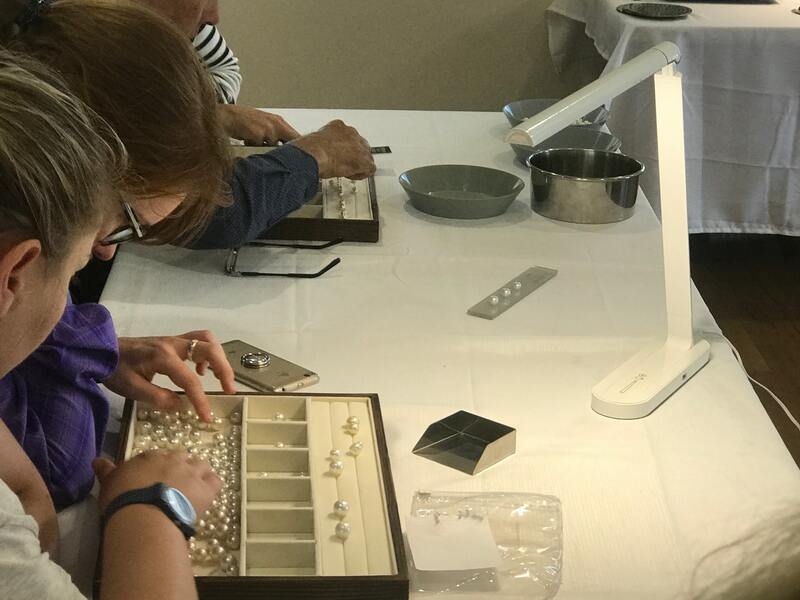 Join our experts in this rare experience where we hand you our valuable Akoya and South Sea pearls to learn about the virtues of provenance, purity, size, shape, colour, lustre and surface. Experience location in Woy Woy, availabilities on request. Due to sensitivities of security we will confirm the location of this experience on booking. 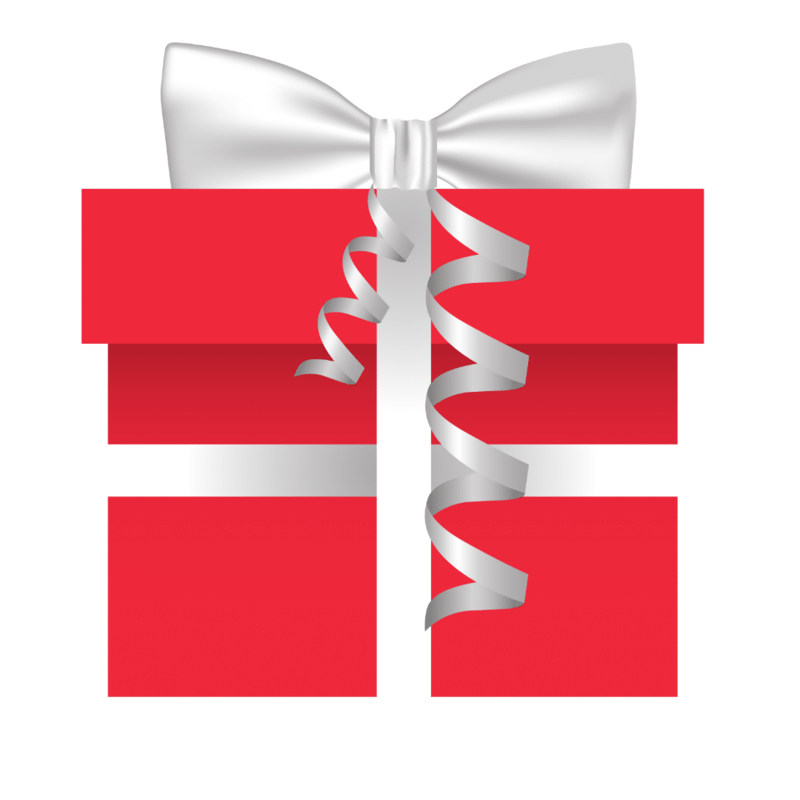 Say ‘thank you’ to your loved ones with the gift of a unique experience and precious gem. Cruise through the pristine waters of the Central Coast to see where the world’s rarest Akoya pearls are grown, learn the seven virtues that make them so precious and take home that special pearl whose lustre, shape, size, colour and surface most resonates as the one which will be handed down through the generations. A Broken Bay Pearl Farm gift voucher can be redeemed online for tour bookings by entering the voucher code. You set the gift amount! For example $170 would purchase 2 x adult tickets on the Broken Bay Pearl Farm Tour and allow your loved ones to select the date and time of the tour. Call us on 0488 361 042 or email info@pearlsofaustralia.com.au to enquire about a gift voucher for pearl and jewellery purchases. Broken Bay Pearl Farm welcomes corporate guests and group tour bookings with bespoke experiences to suit all timeframes and budgets. Catering to groups of any size, we will immerse your guests in the story of the Australian Pearl with on-water boat tours and on-land pearl experiences with transfer and meal options available on request. Take the pearl farm to your guests! 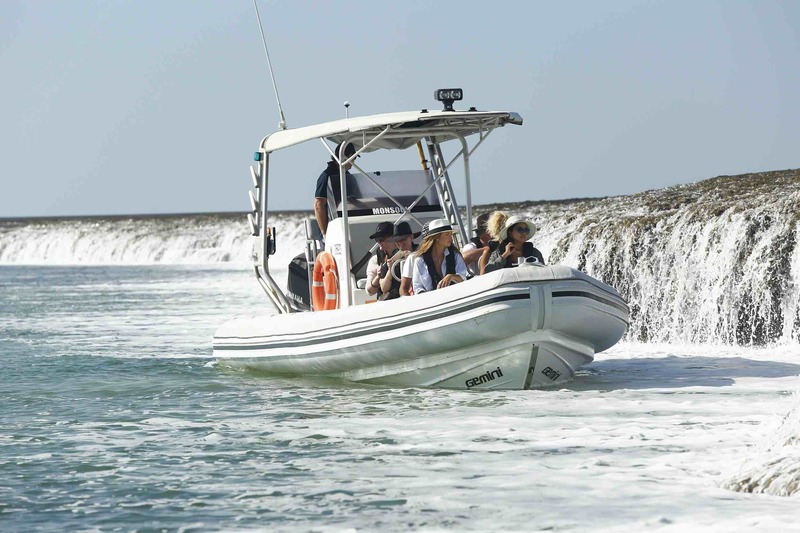 Situated on the Dampier Peninsula, a 2.5 hour drive north of Broome is Cygnet Bay Pearl Farm. In 2009 Cygnet Bay Pearl Farm opened its doors to the public, to allow guests to not only discover what it takes to grow a pearl, but to offer the opportunity to view and purchase pearls directly from the waters in which they were nurtured. All with the backdrop of the extraordinary Kimberley coast. From humble beginnings Cygnet Bay has gradually grown its tourism facilities to incorporate its own boutique showroom, licensed restaurant with sweeping verandas and an infinity pool overlooking the beautiful Buccaneer Archipelago. Its accommodation includes safari tents with ensuite, renovated historically listed pearler’s shacks and the premium Master Pearler’s Retreat, a secluded 3 bedroom ‘beach shack’ with magnificent views over its own private beach – the quintessential barefoot luxury experience. The farm experience allows guests to be guided behind-the-scenes of the pearl operations where they’ll learn the history of pearls in Australia, see a pearl being harvested and learn about grading the pearl. Being located in the heartland of Bardi-Jawi country, the local Aboriginal people who are still practicing some of the world’s most ancient traditional customs, Cygnet Bay Pearl Farm also offers guests a valuable cultural experience in partnership with traditional owners. Cygnet Bay also shares its location with some of the world’s most magnificent natural wonders, including the Buccaneer Archipelago, a cluster of more than 1,000 islands in the pristine remote Kimberley coast with the world’s fastest ocean currents, and giant tides which reveal a mid-ocean waterfall. This has led to a range of marine eco-tours that showcase these unique aspects including the Giant Tides and Waterfall Reef Sea Safaris, additional to scenic flights from the Cygnet Bay Pearl Farm airstrip over the Horizontal Falls. 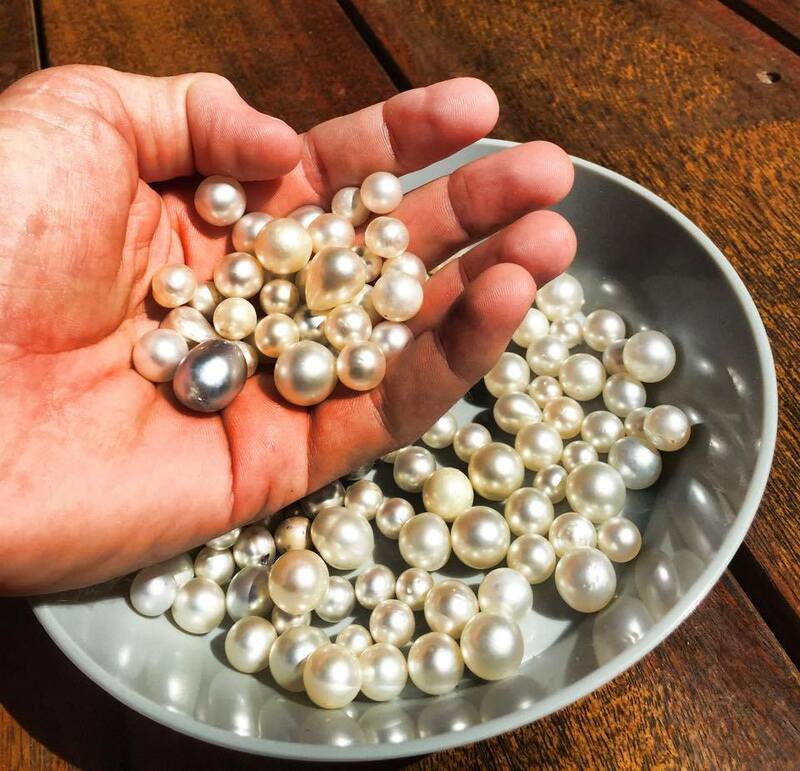 Join 3rd generation pearl farmer and Marine Biologist James Brown on a 1-week discovery of the Australian Pearl, from Broken Bay Pearl Farm (1 hour north of Sydney) to Cygnet Bay Pearl Farm (2.5hrs north of Broome) via Shinju Matsuri Festival of the Pearl in Broome, WA. Was really professionally run and incredibly informative. Penny and James have such a passion for the industry, and that came across in the delivery of the day. I can’t think of anything to improve the experience it was brilliant! Enjoyed the rich family history. Purchasing beautiful pearls. The entire day was magical. Fascinating insight into pearling, excellent presentation of history, techniques, process and valuation of end product. Very interesting to see the pearling farm and hear all the stories from the people who live and work here with so much passion. While the professionalism food and service was that of a fine resort they also didn’t mind our kids taking over the place and were just so lovely and accommodating! Not to be missed. © 2019 Pearls Of Australia.